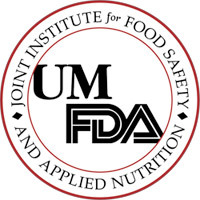 The Joint Institute for Food Safety and Applied Nutrition (JIFSAN)at the University of Maryland has been awarded $11 million in funding from the Food and Drug Administration (FDA). The funding, which will cover the next five years, will help JIFSAN to continue its mission of improving food safety, nutrition and public health around the world. Established in 1996, JIFSAN is jointly administered by UMD's College of Agriculture and Natural Resources (AGNR) and the FDA. Its goal is to tackle complex food safety issues from multiple angles by bringing together leaders in industry, government and academia to develop research, education and outreach programs. "As food producers are expected to take greater responsibility for the safety of their products, our unique relationship with the FDA becomes even more critical," says University of Maryland President Wallace D. Loh. "JIFSAN's research and training promotes safe production and handling practices, and this is precisely the kind of work at which a 21st century international research institution like UMD can excel." "This $11 million in FDA funding is a vote of confidence and support for the work JIFSAN has completed over the last 15 years and will allow us to continue that work for at least five more," said Dr. Jianghong Meng, JIFSAN's director. Since its inception, JIFSAN has funded more than 65 research projects, provided more than 300 internships for undergraduate students to work with FDA scientists, and trained more than 5,000 food safety professionals representing 30 countries. "With an increasingly diverse domestic and global food supply, ensuring food safety is more important now than ever before," said Cheng-i Wei, dean of the College of AGNR. "The College of Agriculture and Natural Resources is very proud of the fact that JIFSAN is recognized as an international leader in this critical field." This most recent funding commitment from the FDA will provide JIFSAN with approximately $2.2 million each year through 2016. The funds will help address emerging food safety and public health issues through traditional laboratory and field research as well as social and behavioral studies. It will also allow JIFSAN to foster communication and education about important food safety issues through workshops, courses, symposiums and online resources.